The spring gardening season will soon be here. We are all anxiously awaiting those first bursts of color with the early flowering bulbs. The seed catalogues have given us visions of sunny days ahead and thoughts of all the things we want to plant this year. Yes, there is grass under all those snow piles and thoughts of mowing it sound wonderful after our cold snowy February. As a UW Extension Master Gardener I will be providing informational gardening articles throughout the 2007 gardening season. Hopefully these articles will answer some of your gardening questions as well as encourage you to try something new. 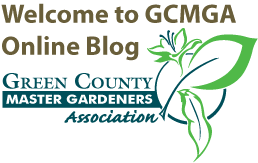 This first article will focus on the UW Extension Master Gardening Program as well as providing some information about my gardening experience. The Master Gardening Program resulted from numerous horticulture questions from home gardeners. Master Gardener volunteers provide reliable answers to those questions. In order to become a certified Master Gardener you must complete 36 hours of training through the UW Extension, pass a final exam, and complete 24 hours of volunteer service. Class work encompasses a variety of topics from information about annuals, perennials, and houseplants to lawn care, fruit and vegetable crops, soil fertility, native and invasive plants, and much more. Course work also links to various sources to enable the Master Gardener to do continued research on horticulture topics. As a gardener, learning never stops. To maintain this certification 10 additional education hours are required annually along with the volunteer hours. 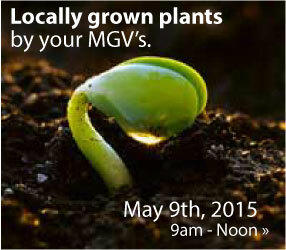 To enroll in this course you need to contact Mark Mayer, Green County UW Extension Agriculture Agent at 328-9440. For additional information on the Master Gardening Program go to http://www.uwex.edu/ces/cty/green/hort/mg.html or the state site at http://www.hort.wisc.edu/mastergardener/ . My gardening experience began over 20 years ago when I first moved here. Monroe had a community garden plot and I eagerly began my first attempts at vegetable gardening. Gardeners enjoy networking and I couldn’t have asked for a better start as I worked alongside other community gardeners. I soon began planting bulbs and flowers and took great satisfaction in providing visual beauty in our yard as well as a habitat for birds and butterflies. I am an advocate for conservation efforts of Wisconsin’s natural resources and support the Wisconsin Natural Resources Foundation. With concerns of global warming it is vital that we keep our green spaces and promote the value of gardening. The robins will soon arrive and the ground will wake up and display its storehouse of beauty. Until next time…happy gardening!